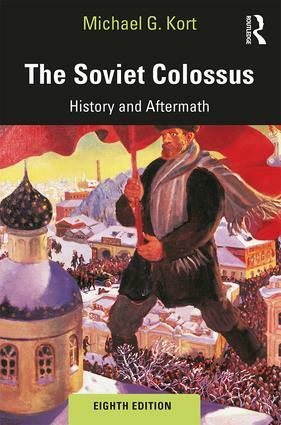 The Soviet Colossus revisits the turning points in Russia’s modern history, from the fall of the tsarist regime to the establishment of the Bolshevik dictatorship and Stalinist totalitarianism; the reforms and counter-reforms of Khrushchev and Brezhnev to the reform program of Mikhail Gorbachev and the resultant collapse of the Soviet Union; and from the effort to build a democratic and free-market Russia under Boris Yeltsin to the political authoritarianism and the establishment of a state capitalist economy under Vladimir Putin. This eighth edition has been revised and updated to cover the latest developments from the Putin administration. These revisions include added emphasis on the increasing authoritarian nature of Russia’s political system, the serious challenges posed by the country’s unsolved economic and social problems, and the growing tensions between Russia on the one hand and the United States and the European Union on the other as a result of Moscow’s aggression against Ukraine. Kort combines this updated account with a broad exploration of Russia’s political history, examining how the Soviet past has been woven into the fabric of the modern Russian state, a state which plays such a major, assertive role in global affairs, but which simultaneously remains an allusive, secretive entity. With Russia’s increasing influence on the global stage and the controversies that often accompany this, The Soviet Colossus is an invaluable resource for students of history, politics, and international relations. Michael G. Kort is Professor of Social Science in the College of General Studies at Boston University, USA, and has been a fellow of the Russian Research Center at Harvard University, USA. In addition to his work on Soviet history, he is the author of The Columbia Guide to the Cold War (1998), The Columbia Guide to Hiroshima and the Bomb (2007), A Brief History of Russia (2008), The Vietnam War Reexamined (2018), and co-author of Modernization and Revolution in China (5th ed. 2018). He has written more than a dozen books for young adults, including biographies of Nikita Khrushchev and Mikhail Gorbachev, a history of the Cold War, and a history of Marxism. The first edition of The Soviet Colossus was an alternate selection of the Book-of-the-Month Club.